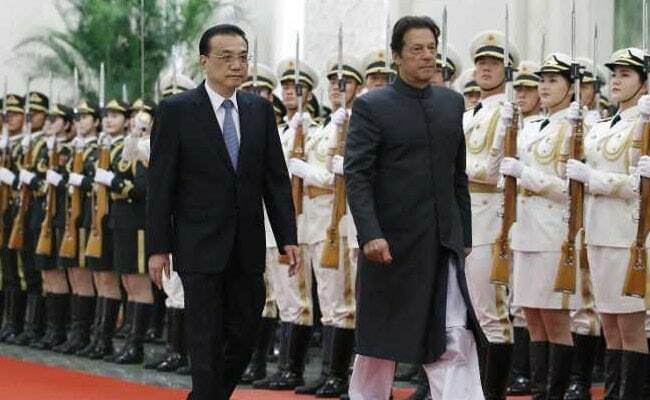 A Pakistani TV channel has apologised after broadcasting a speech by PM Imran Khan in China with a caption displaying the word "begging" instead of Beijing. The Pakistani Prime Minister was speaking at an event at the Central Party School of the Communist Party of China in Beijing and the event was being broadcast live by the Pakistan Television Corporation when the faux pas occurred. The official order by the ministry read that the acting charge of Colonel (r) Hassan Immad Mohammadi, Director PTVC as Managing Director is withdrawn with immediate effect and further orders. Pakistan will follow the Chinese model to alleviate poverty and eradicate corruption to put the country on the path of progress and development, Prime Minister Imran Khan said Monday. The misspelled word appeared in the top left corner of the screen, where the channel meant to show where Khan was. The state-run channel, PTV News, said "this incident is regrettable", and "strict action has been initiated under rules against concerned officials". Local media believes the gaffe is rather ironic since Khan is in Beijing to secure monetary aid from China to stall the impending economic crisis in Pakistan. It remained on screen for 20 seconds before being changed. The premier is now visiting China to seek Chinese assistance in boosting the country's economy. China while stating that it would extend necessary support to Pakistan reportedly committed Dollars six billion funding but did not so far officially confirmed it. The election near the halfway mark of a president's first term is traditionally a referendum on the White House occupant. If Republicans keep their majority, McCarthy could be the next speaker of the House. Officers investigating a model of the Grenfell Tower which was burned on a bonfire have searched the garden of a London property. While Khadijah Mamudu, whose mother and younger brother escaped the fire, said the burning of the effigy was a "vile act". If he shows up, you're blocking your guy the same as you would for Conner. No one but the men inside the dressing room really know the particulars. They said they won't be going out on patrol. "We have our military now at the border", Trump said as the crowd cheered. Trump has blasted illegal immigration in the past, and called for the importance of border security. Blizzard maintains that it had never meant to talk about Diablo 4 at BlizzCon and that no announcements were pulled from the show. Diablo Immortal was the only Diablo announcement at BlizzCon, and to put it mildly, many fans have responded negatively. A 10-year-old girl has been charged to court for allegedly murdering a six-month-old baby at a United States daycare centre. The girl was staying with the family who runs the day care when the tragic death occurred. Other results saw Inoue stop Jua Carlos Parayano on October 7 and Tete win by decision over Mikhail Aloyan on October 17. He now holds the silver version of the WBC belt and is coming off a huge win over former world champion Viktor Postol.